You can buy new homes near the beach in Badalona for around half the price of Barcelona next door. 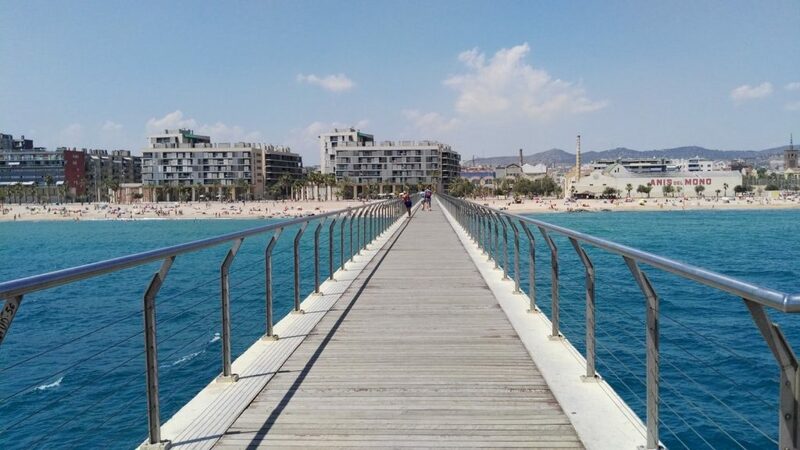 Badalona is a town close to Barcelona with one of the best beaches in the region, where a new development called Residencial Dalt La Vila has gone down a storm with local buyers. So what’s Badalona got to offer? And if you are considering buying property in Barcelona near the beach, should you also consider Badalona, where prices are much lower? I think the investment case for Badalona is compelling. For a start, it’s so close to Barcelona it’s almost like a district of the city, though I should make clear it has its own identity, and locals are adamant they’re from Badalona, not Barcelona. But to foreigners coming from countries where cities are bigger, Badalona is so close it looks like a district of Barcelona. To give you an idea of travel times, it’s about 20 minutes by car to the centre of Barcelona, and half an hour by public transport, with good metro and bus links. 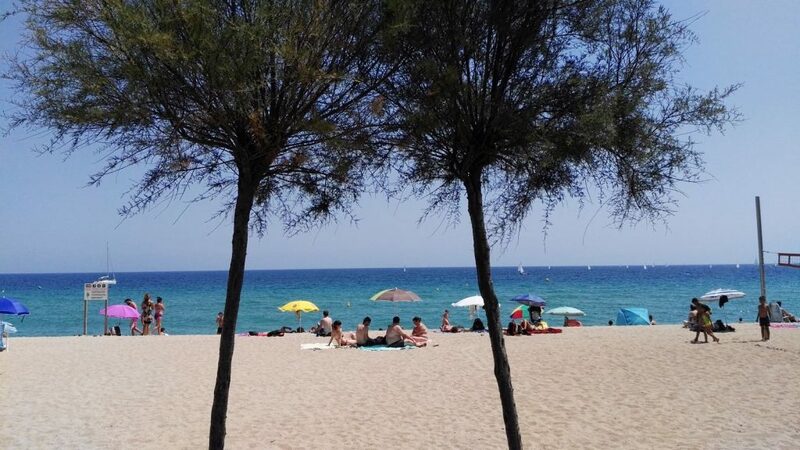 Secondly, Badalona has one of the best, if not the best beach in the Barcelona area. It’s where I go for lunch in the summer if I want to feel like I’m on holiday. Easy ride on train or metro from Barcelona to Badalona. Can’t believe that 20 minutes out of Barcelona there is a beach totally devoid of tourists. Just local families with young kids all having fun on the beach……Felt like we were on a beach in Australia or South America, Can’t beat that. Amat are marketing the Residencial Dalt La Vila new development of 90 apartments in a good area of Badalona, about 10 minutes walk from the beach. It has been largely snapped up by locals, but some of the best units have been kept until last. 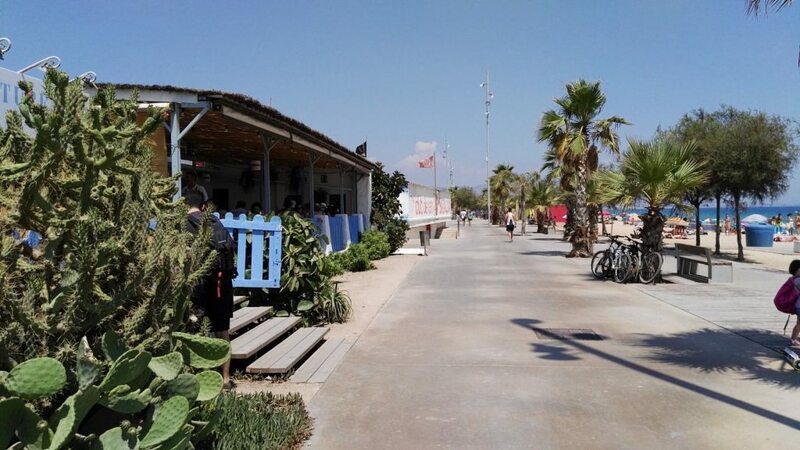 If you want to enjoy everything that Barcelona has to offer from a quiet retreat with a local feel and a great beach, then this is an option to consider. 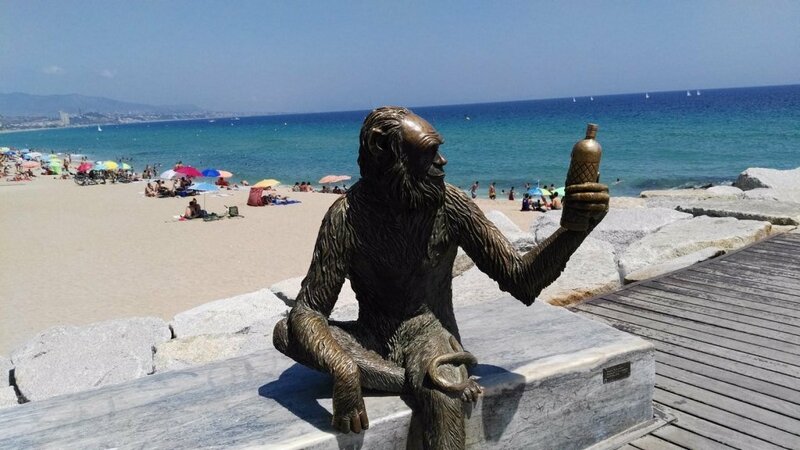 Lastly, Badalona is also famous (locally at least) as home of the Anis del Mono liqueur, hence the monkey sculpture on the beach.